October Meeting: Jack Molisani on Personal Branding: Are You Selling Features or Benefits? Join STC San diego on Tuesday, October 10 as returning favorite Jack Molisani shares how the content strategy team at Facebook for Business enables success for billions of customers in over 100 languages worldwide. Will you have the same career-changing realization Jack did? Come to our October meeting and find out! Note: Jack will be raffling a free entrance to The LavaCon Conference (which will be in Portland in November) so remember to bring your business card for the drawing. Admission to the meeting is $20; $10 for full-time students and unemployed. Light refreshments will be served. He’s the author of Be The Captain of Your Career: A New Approach to Career Planning and Advancement, which hit #5 on Amazon’s Career and Resume Best Seller list. You don't have to be a member of STC to stay informed with STC San Diego happenings. Just sign up for our free newsletter. 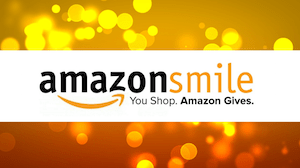 Amazon donates to STC San Diego when you shop at smile.amazon.com. STC-San Diego is a 501(c)3 charitable organization. Help support us by donating through PayPal.